You’d almost be forgiven if you haven’t come to this Costa Mesa restaurant located within the Renée and Henry Segerstrom Concert Hall. After all, the venue is only open for a few hours during show nights. But you don’t need to be a fine arts aficionado to appreciate the culinary genius of executive chef Ross Pangilinan and his uncanny ability to craft artful works of contemporary cuisine. You do, however, need to know what theatrical performances are on the horizon – Pangilinan themes his exquisite prix-fixe, pre-show menus around each production. Review and rating of Leatherby’s Café Rouge in Costa Mesa. It may be easy to forget about this low-key restaurant at Montage Laguna Beach, especially considering the amount of attention surrounding the hotel’s flagship eatery, Studio. However, it would be a shame to overlook the deft skill possessed by chef de cuisine Casey Overton, whose keen sense of dish composition and ingredient selection is rivaled by few in Orange County. His studiousness shows in dishes like the blackened Kurobuta pork rib-eye with corn masa and roasted tomatillos, or the rotisserie chicken with herb spaetzle and carrot-fava ragout. While the stars of the dishes may be familiar, the supporting players turn them into a revelation. 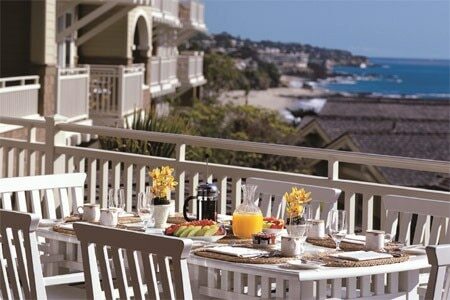 Review and rating of The Loft restaurant in Laguna Beach. By now, the guy in your office with the skinny jeans and Civil War-era facial hair may have told you all about the awesomeness of OC Mix’s restaurants. Scoff if you must, but understand that the hipsters have it right this time. The boutique shopping center has brought Orange County such must-try eateries as ARC and Taco Maria over the past couple years, and they have struck gold again with this cozy, charming venue. Executive chef Michael Campbell delivers on Pueblo’s commitment to modern Spanish tapas in a big way, avoiding the temptation to turn the word into a catch-all term for small plates in the process. Dishes such as papas bravas, mussels prepped with saffron and a Cava vinaigrette, and frito mixto served with squid ink aioli are meant for sharing, but nobody will blame you if you decide to be a little greedy. 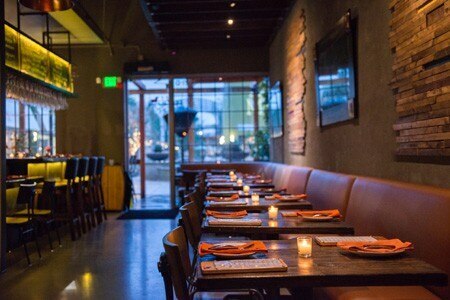 Review and rating of Pueblo restaurant in Costa Mesa. Pay no mind to the fact that this Newport Beach Back Bay restaurant is wedged between a grocery store and a drug store. The venue’s strip mall surroundings vanish as soon as you step inside, and remain hidden even if you dine on the outdoor patio, where you will be enveloped by lush seasonal vegetables. 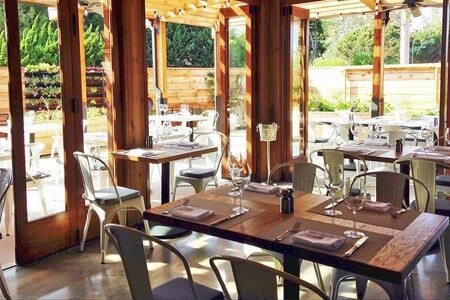 The garden is tended by owner and executive chef Cathy Pavlos, who first showcased a commitment to seasonal ingredients at sister restaurant Lucca Café in Irvine. Her fresh-picked bounty shines in veggie-centric intermezzos such as pan-roasted cauliflower kung pao with apples, black vinegar, cashews and ginger, as well as in mains like whole smoked Idaho trout with oven-roasted tomatoes, hearts of palm and artichoke hearts. 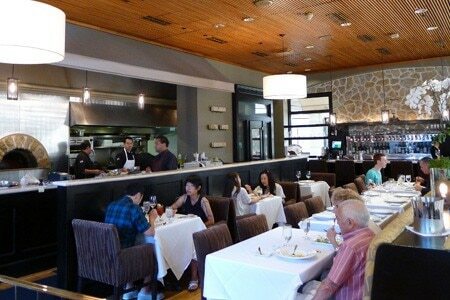 Review and rating of Provenance restaurant in Newport Beach. It’s important for the annual crop of new and emerging foodies to recognize the greatness of Orange County’s long-standing, highly acclaimed restaurants. At the top of this list is Marché Moderne, a perpetually exemplary South Coast Plaza establishment. Owner and executive chef Florent Marneau gives a lesson in proper French cuisine at its finest, as dishes such as coq au vin and steak au poivre with pommes frites demonstrate why classic entrées still matter. His skill is the reason why so many diners came here within days of the reversal of California’s infamous foie gras ban. 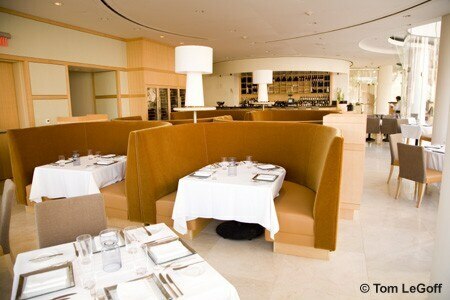 Review and rating of Marché Moderne restaurant in Costa Mesa.